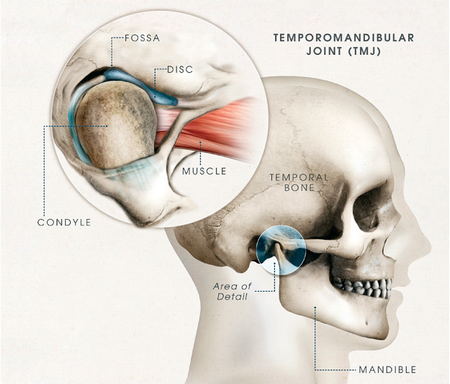 Want more information about TMJ Disorder? Check out these great links! Do you have jaw pain when you eat, yawn, or talk? This can often be caused by irritated muscles in the face, mouth, and neck, or by a dysfunction of the TMJ, which allows your jaw to open and close. This condition is exacerbated when you: take large bites of food, chew gum frequently, eat hard foods, experience stress (resulting in frequent clenching of your teeth and jaw) and have poor posture. Our physical therapists are very familiar with this condition and can help relieve your pain with both deep tissue massage, joint mobilizations, and other skilled techniques. We can also recommend specific exercises and stretches to help decrease your pain and prevent the condition from happening again.